Pioneering companies have changed their business through a series of stages, commencing with building awareness of issues and their potential relevance to the company and progressing through building internal capabilities for environmentally driven change, to seeking market opportunities based on those new capabilities. 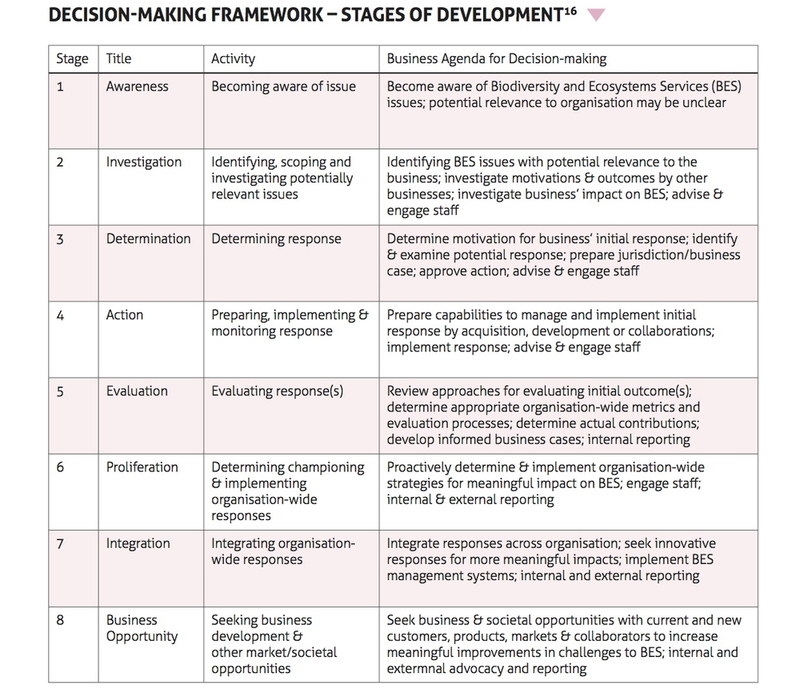 A decision-making framework, based on their experiences, describing the stages in corporate development, is detailed below. Using it by no means guarantees a successful outcome, but rather it serves as a starting point and agenda for executives to determine how best to progress towards a corporate goal.